With the addition of the Turf Invitational this year, the Pegasus World Cup is now headlined by a pair of feature races with a combined purse of $16 million. No wonder both races attracted large, competitive fields. In today's edition of the News Minute, Scott Jagow looks at Tuesday's post position draw for each race; we hear from connections of some of the top contenders, plus other intriguing storylines heading into Saturday's big event at Gulfstream Park. 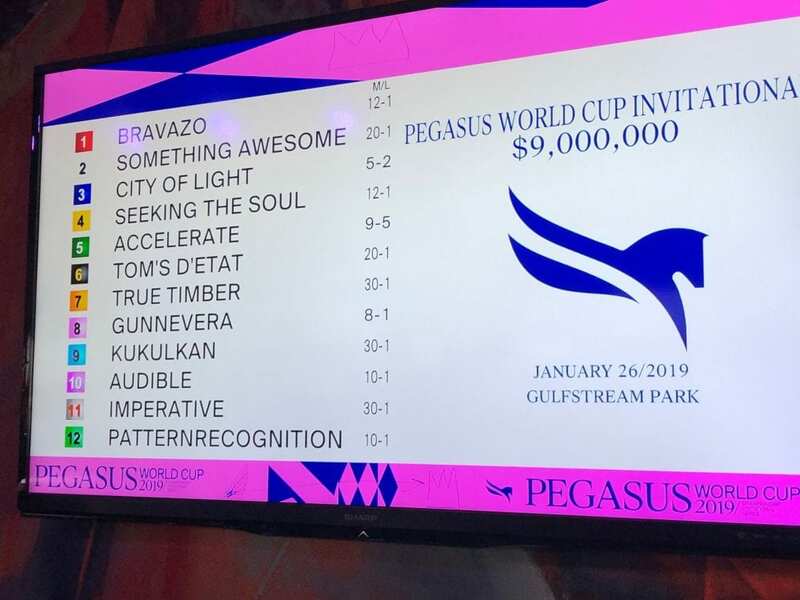 This entry was posted in News Minute, Pegasus World Cup, Videos and tagged gulfstream park, pegasus world cup, Pegasus World Cup draw, Pegasus World Cup News Minute, pegasus world cup turf, Scott Jagow by Paulick Report Staff. Bookmark the permalink.